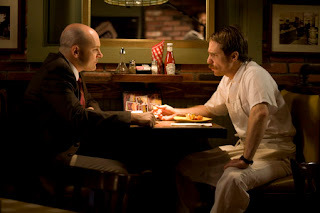 In case you needed another reminder that character acting chameleon Sam Rockwell is one of the most fascinatingly charismatic yet tragically underrated performers currently working in film today, Grace is Gone writer/director James C. Strouse's superior feature-length follow-up picture The Winning Season offers you compelling proof regarding the validity of that argument. Admittedly, the set-up used in Strouse's underdog sports dramedy fails to offer anything new by cribbing heavily from the playbooks of a wide variety of contemporary, solid teamwork classics. Nonetheless, Season stands out thanks to Rockwell's arresting performance as Bill, the formerly great high school athlete and basketball coach turned alcoholic slacker. 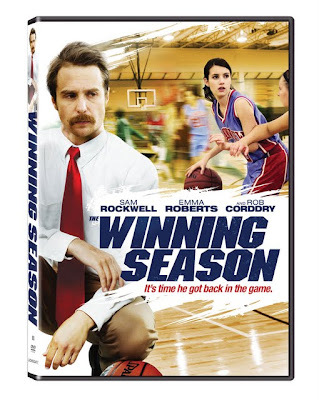 As the Sundance Film Festival competitive title begins, Bill is reluctantly lured back to civilization from life as a busboy and dishwasher when an old friend (Rob Cordry) offers him the chance to oversee a group of struggling high school girls as they strive to – if not win a game – then at least lose with dignity, as Bill explains. Obviously, the formula and idea of both the misfit coach and unpopular group of six fellow outsider girls owes a great deal to similar fare including everything from Hoosiers to The Bad News Bears as grudgingly the characters in the offbeat dynamic bond to become their very own dysfunctional, neurotic makeshift family. Yet gradually and bravely Strouse's film distinguishes itself from the team movie pack by calling new plays to establish an unusual tone and incorporate a different overall goal than just scoring points in the paint. 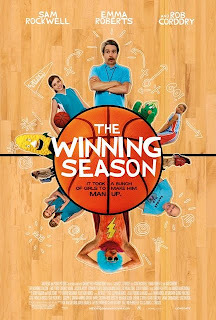 Intriguingly in making the movie as spirited as it is melancholy and reminding us repeatedly that little victories in the personal lives of the cast of characters are the best way to combat heavier losses on and off the court, The Winning Season transcends its underdog sports picture trappings. 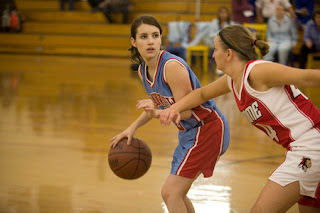 Brought to life by a talented group of young actresses including Emma Roberts (Nancy Drew , Valentine's Day ), Rooney Mara (The Social Network ) and Shareeka Epps (Half Nelson ), Season features an MVP supporting performance by Margo Martindale as Donna, the team's school bus driver hired by Bill for fifteen bucks a game to help him deal with female issues for which he's unequipped to handle as the ineffective father of a teenage daughter of his own. Having drafted such a strong dream team headed up by Rockwell, Season is better able to boldly explore difficult coming-of-age terrain that one wouldn't expect in films of this genre, particularly while acknowledging just how rare it is for a so-called “sports movie” to focus on young women. Considering the succinct running time, obviously, Strouse can't follow-through on some of the causes and effects of certain plots introduced such as Bill's checkered past and strained relationship with his daughter. Yet, at the same time and unlike some of the far too predictable titles in the underdog vein, Strouse is wise enough as a filmmaker to know that he'd cheapen the work by giving us pat resolutions to conflicts, trusting in the authenticity of actors like Rockwell whose humanity and honesty make Bill compelling and memorable, flaws and all. 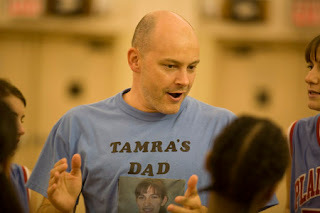 To this end, this little-seen work is as focused on the game of life as it is on the game of hoops, looking at questions of sexual identity, racism, gender inequality and power dynamics in romantic relationships, which enrich the surprisingly winning, intelligent and emotionally gripping Season even more.